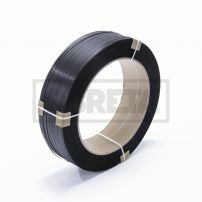 No, no, these are not your trusty old DVD tapes from the bygone era to record your funny home videos on! 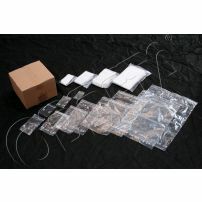 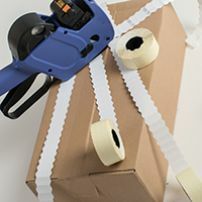 You will enjoy using our tapes for all of your packaging needs... and not only that. 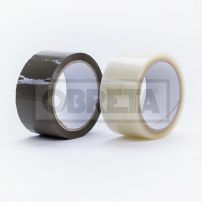 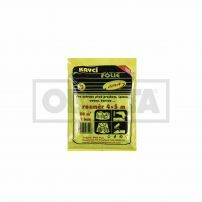 You will also find that we carry stationery tapes, carpet, safety or double-sided tapes. 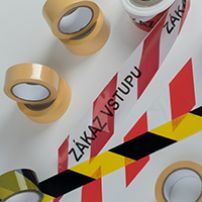 The packaging adhesive tapes supplied by our company can be used just about anywhere. 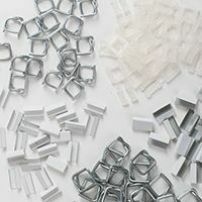 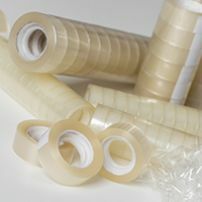 The basic type of carrier material used is PP and comes in either transparent or brown colour, 48 mm wide and 66m long, and what is of the utmost importance: the adhesive used is either acrylate or solvent, or hot-melt. 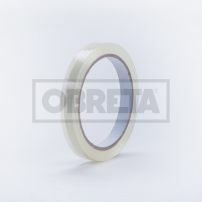 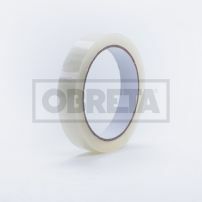 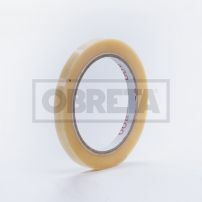 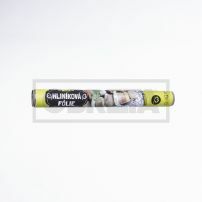 We are also able to manufacture custom made adhesive tapes with the customer’s own design. 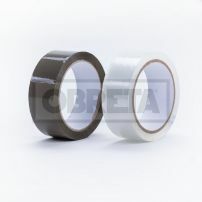 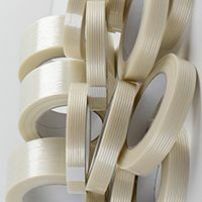 For tinsmiths, car body shops, interior or exterior painters we have special filament tapes that are temperature resistant up to 60°C or 80°C. 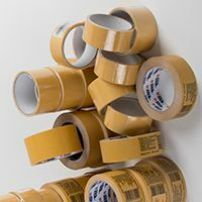 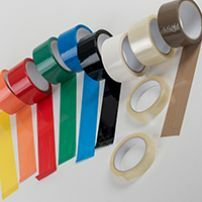 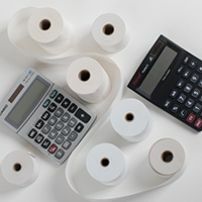 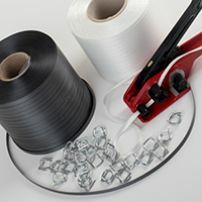 Non-adhesive tapes – those include different tapes (rolls of paper) for cash registers, strapping tapes for use in the manufacturing process to tie together anything either using a clip or without it.